Facebook has posted its earnings report for the fourth quarter of 2015 and the entire year as well. According to the report, Facebook generated $17.93 billion in revenue in the whole of 2015, which is an increase of 44% year-over-year. It announced that its net income in 2015 was $3.69 billion as well. 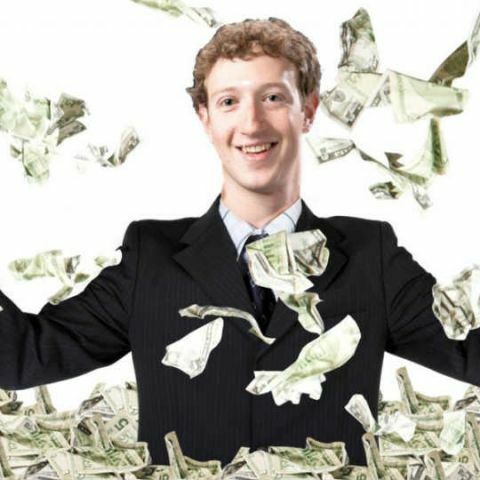 Facebook also earned record profits in Q4 2015 with a 52% increase in revenue as compared to last year. In addition, the reports show that Facebook has over a billion daily active users, out of which 934 million access it via mobile devices. Facebook’s report states that their earned $5,841 million in revenue during Q4 2015 as compared to $3,851 million that it earned in the same quarter in 2014. A vast majority of this revenue ($5,637 million) was generated via advertising, while the remaining $204 million was generated via payments and other fees. The Average Revenue Per User (ARPU) came out to about $3.73. Facebook’s profits may also end up benefiting the world as Zuckerberg and his wife, Priscilla Chan have pledged to donate 99% of their Facebook shares to charity over the course of their lives. Zuckerberg made the announcement last month in a letter addressed to his new-born daughter, Max. In the letter, he announced the start of a new initiative called the Chan Zuckerberg initiative. The aim of the initiative is to “join people across the world to advance human potential and promote equality for all children in the next generation.” The initial areas of focus for the initiative would be personalised learning, curing diseases, connecting people, and building strong communities.